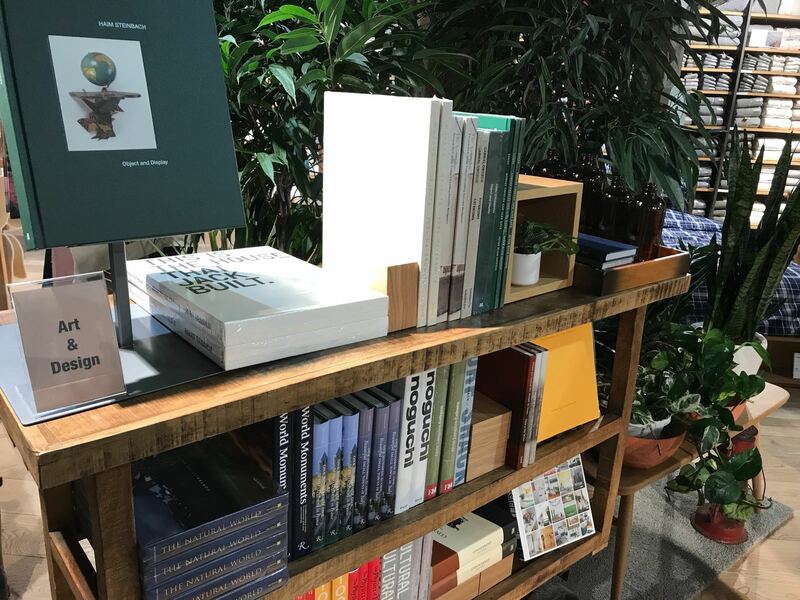 The wait is finally over – downtown Vancouver has its very own MUJI, the second to open this year (first being at Metropolis at Metrotown). 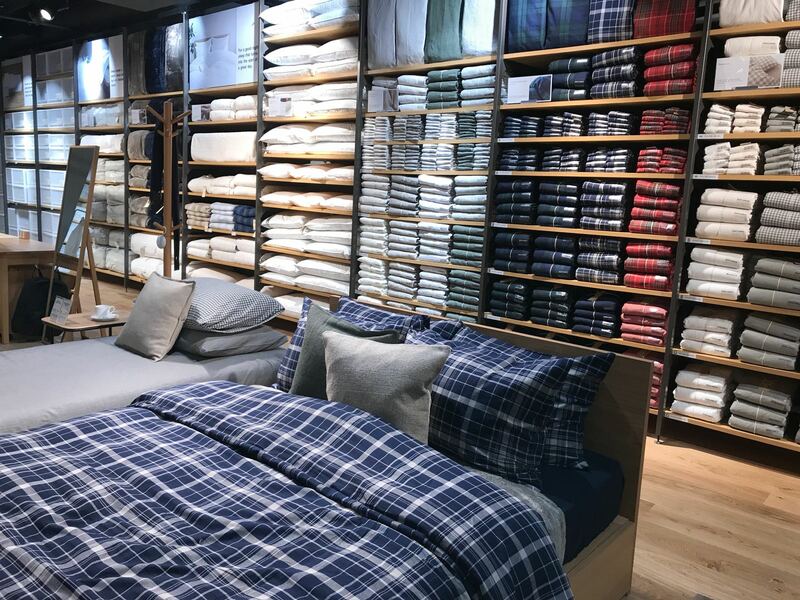 The largest MUJI to open in Canada, this latest edition on Robson Street is home to over 4500 products, with the store consisting of over 14,500 square feet. Formerly the home to Gap, this newest MUJI has most of the same products offered at Metropolis at Metrotown, however has also added some unique features such as MUJI Yourself custom embroidering & label making service, aroma bar, MUJI Coffee Counter, and more. 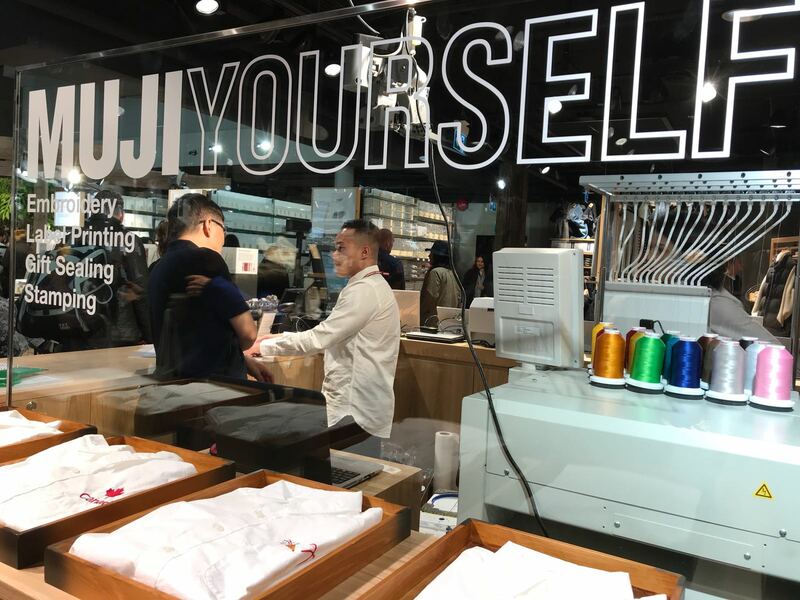 With almost double the size of the Metropolis at Metrotown location, this MUJI has larger sections of clothing for men, women and children. 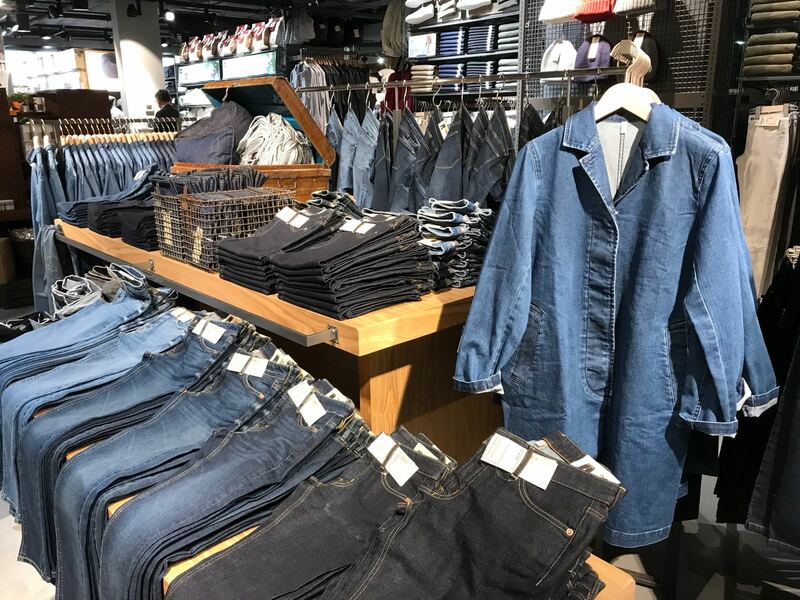 They even have a denim collection on display – featuring all things denim so you can make your very own Canadian Tuxedo outfit. 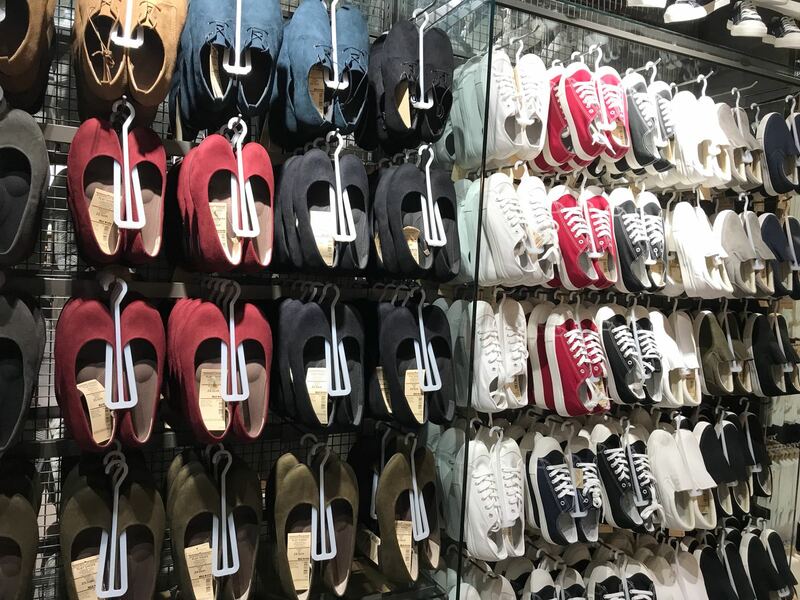 Their shoe collection has mostly unisex canvas sneakers, but also now carry women’s ballet flats in various colours. 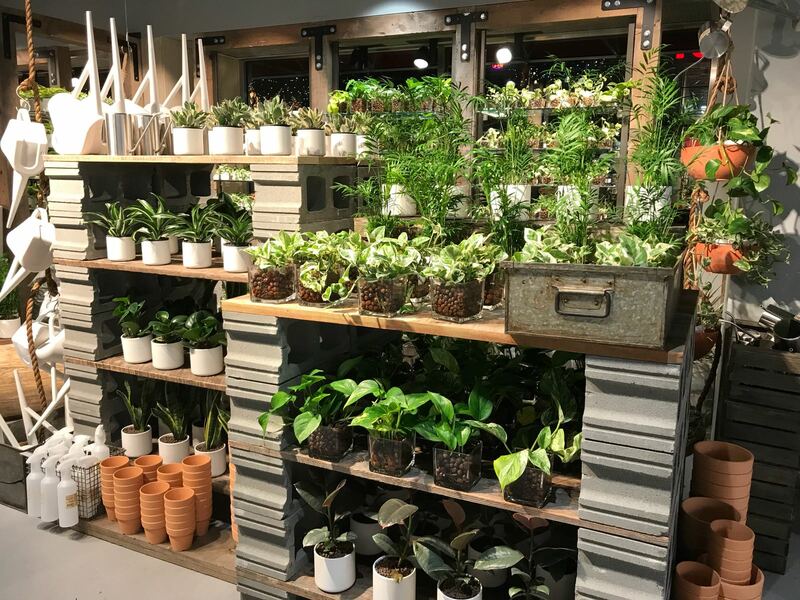 The beautiful design of the store gives MUJI a lot of natural light through its large skylight windows, perfect for also selling green plants stored in simple MUJI designed pots and jars. 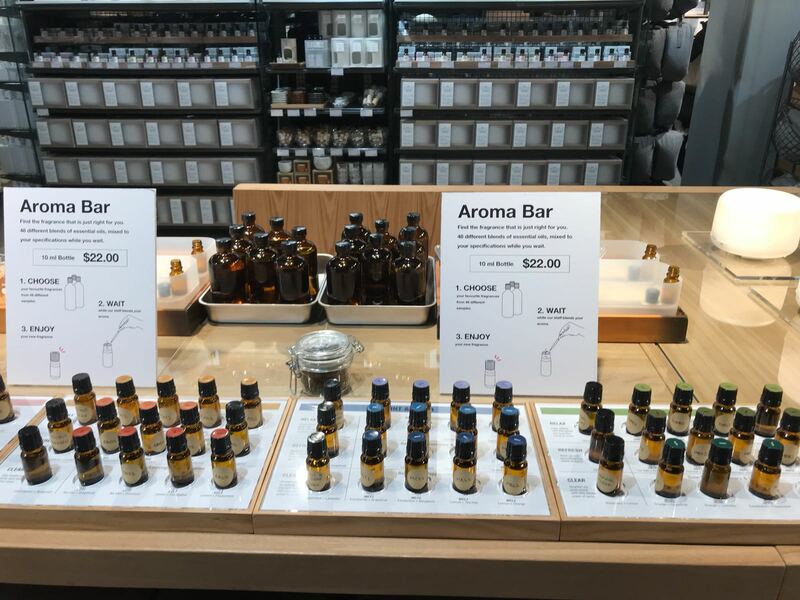 One of the entrances also allows customers to experience MUJI’s aroma bar, where pre-selected combination scents are on display for smelling, and when a specific combination is chosen, the aroma bar mixologist will mix up the custom scent. MUJI has a large section in store that focuses on organization and simplicity for travellers. 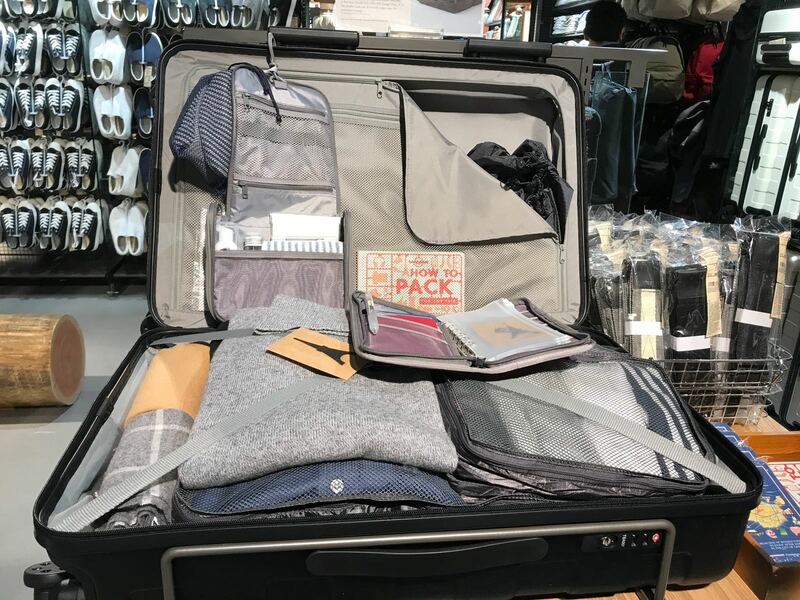 Featuring items such as packing cubes, travel bags and containers, and even elegantly designed suitcases, this is a must stop for frequent travellers looking to keep their carry-on suitcase organized and simple. 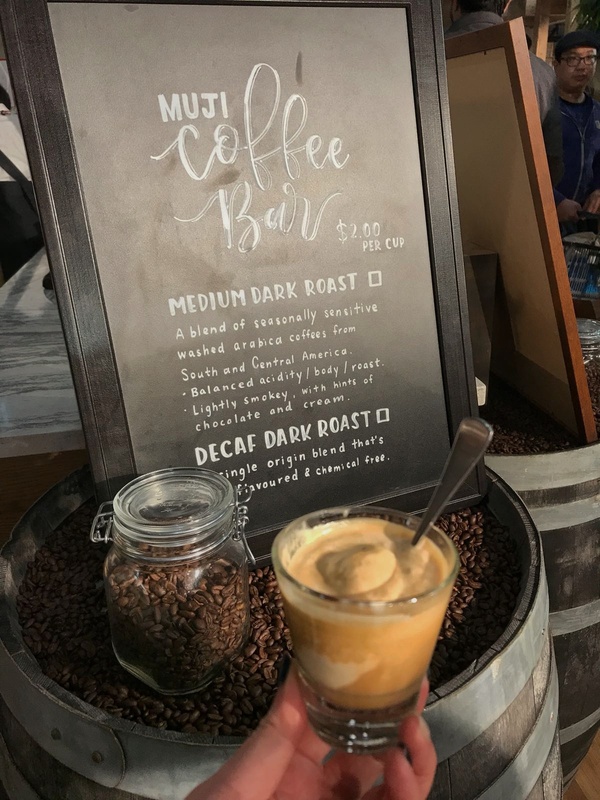 Their coffee bar will feature freshly made coffee from arabica coffee beans from South & Central America – a medium dark roast and a decaf dark roast for $2 per cup. 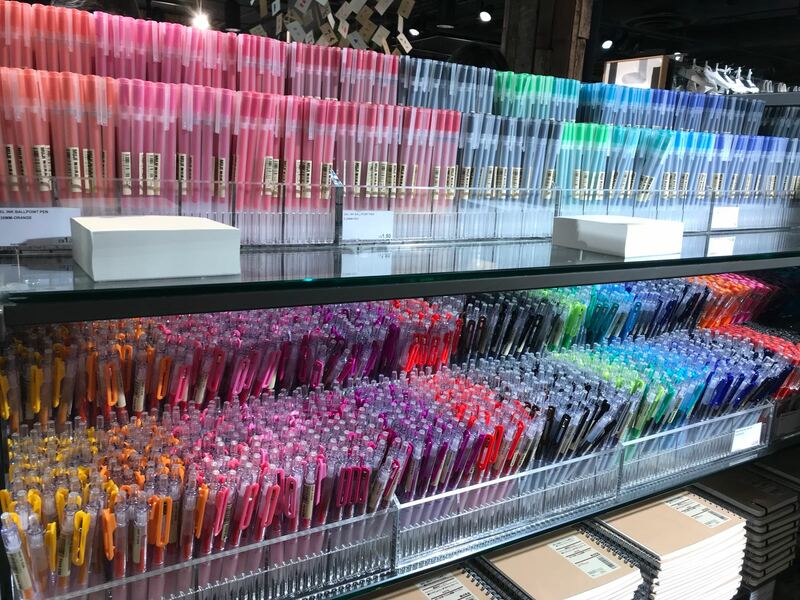 And once you’re done shopping for your stationary products or gifts for the holiday season, stop by MUJI Yourself customization station where you can design your own package labels, have a MUJI representative embroider an image or name onto your cloth bags, handkerchiefs, or dress shirts, or have your gift bags stamped and sealed the way you want it. 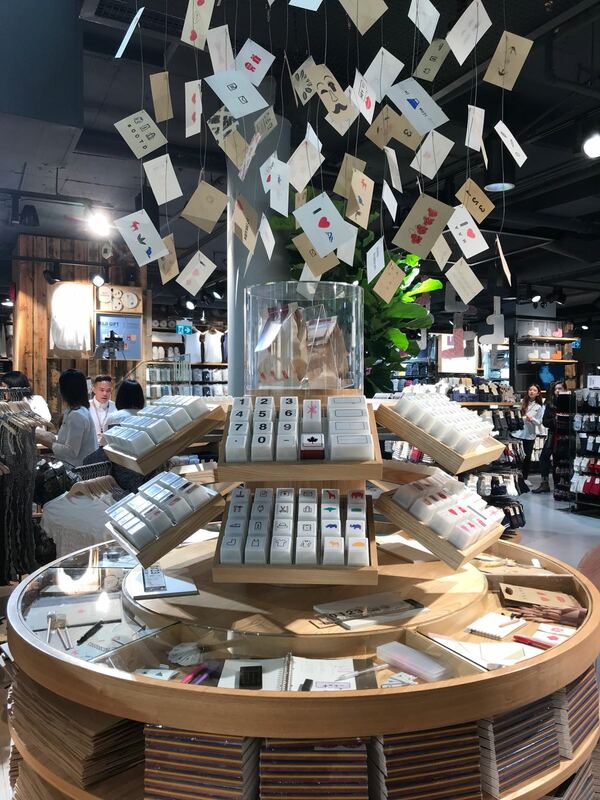 MUJI has a large collection of stationary, clothing, kitchenware, and houseware on display and for sale – all products without any specific branding or logo displayed. 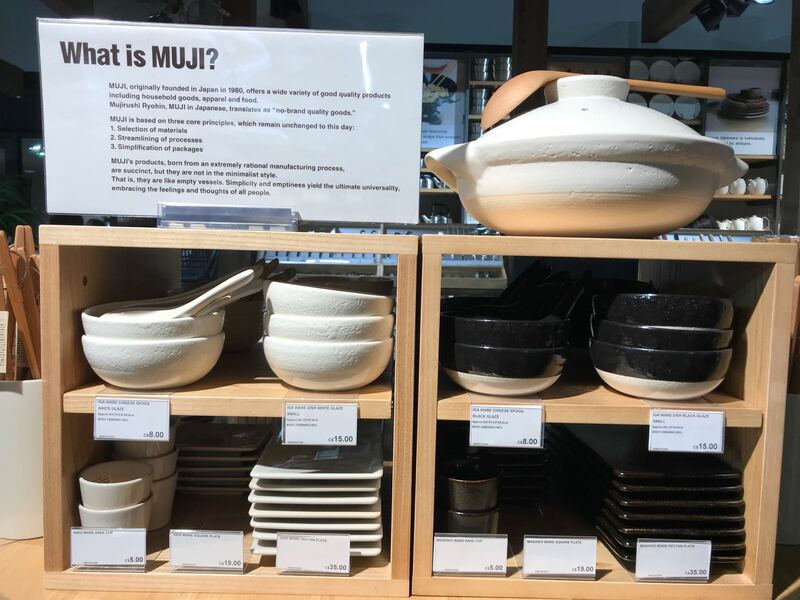 If you’re looking for something simply designed, high in quality, and without branding, come check out MUJI, located at 1125 Robson Street. MUJI officially opens December 2, 2017.